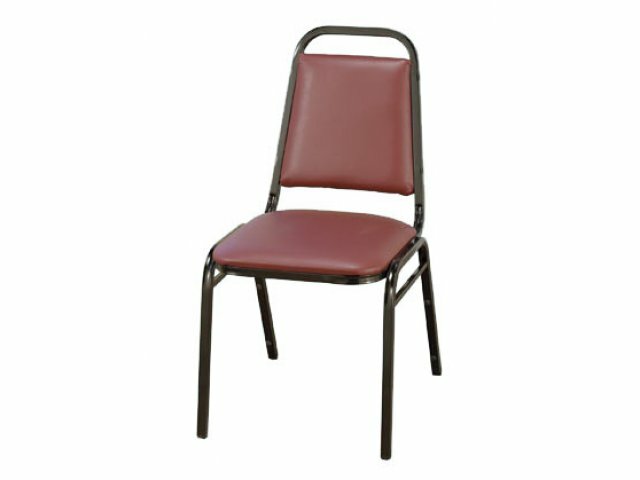 This custom stacking chair in vinyl gives you the affordability of an economical stacking chair with the convenience of vinyl. The vinyl upholstery is easy to clean and comes in a variety of elegant colors. The metal chair frame is available in a number of finishes. The 18-gauge square steel tubing is designed to withstand heavy usage on an ongoing basis. The real utility of these vinyl chairs is that they are made as stackable chairs. 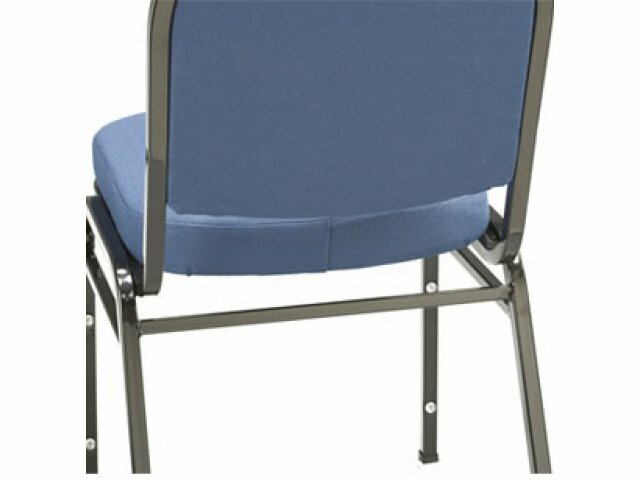 Stacking chairs make it easy to set-up, take-down, and clean up from events easy. 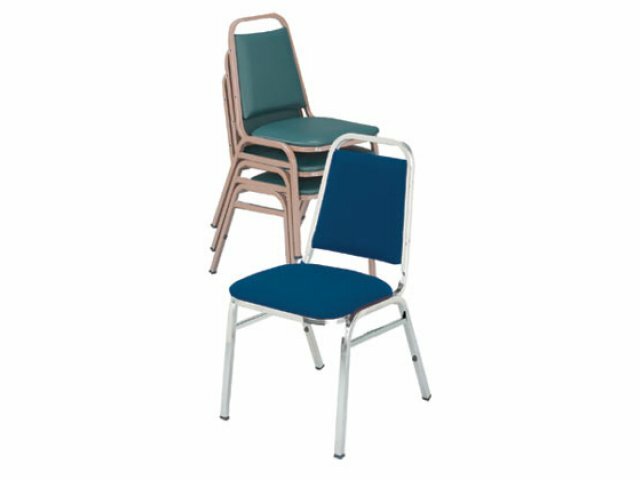 Stacking bumpers and heavy-duty glides mean that you won't damage the chairs or your floors when you need to move and stack these chairs. 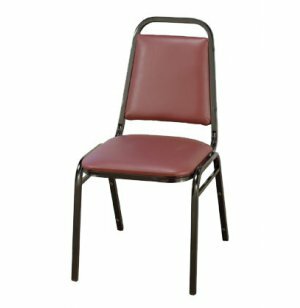 Rated to seat anyone up to 250 pounds comfortably, these chairs will exceed your expectations.